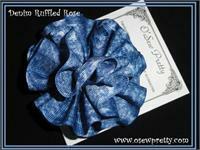 This original design has ribbon that is machine ruffled and then formed into a realistic rose! 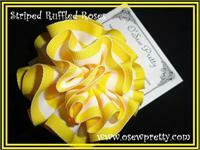 Available on a headband, elastic ponytail holder or barrette. 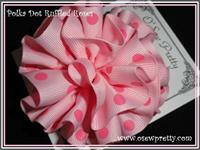 Hair bow shown in Large Hot Pink. Med.Measures 2.5" across and is made from 7/8" grosgrain ribbon. Large Measures 3.5" across and is made from 1 1/4" ribbon. Lot's of detail goes into making this bow! 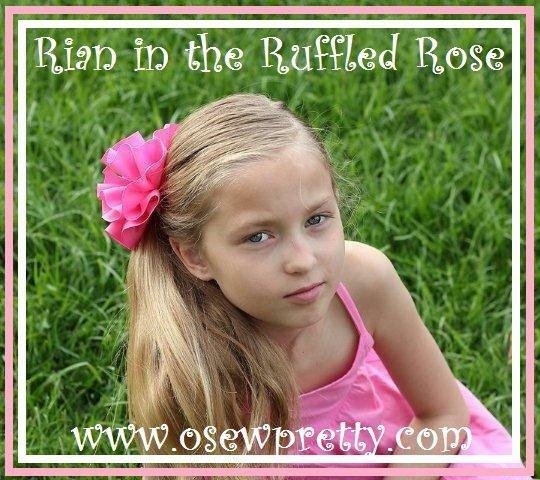 NOTE: The ribbon wrapped headband is always the color of the ribbon rose you select). 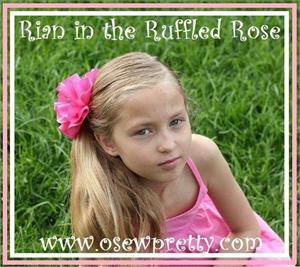 This unique headband has ribbon that is machine ruffled and then formed into a realistic rose! The leaf shaped ribbon adds to it's detailed beauty. Available in 2 sizes. 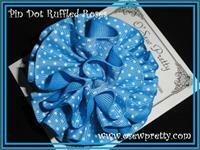 Our unique original design hair bow has ribbon that is machine ruffled and then formed into a realistic rose! Also available as a headband.